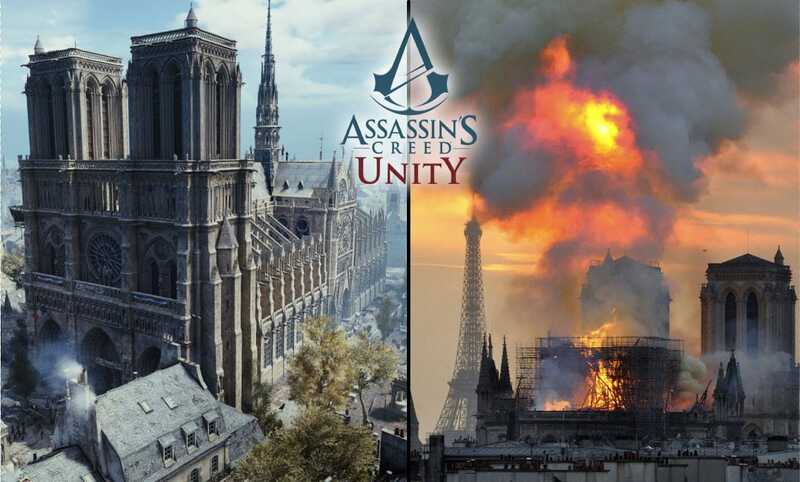 Fire has destroyed parts of the beloved Notre-Dame Cathedral in Paris recently, and an unsung hero has emerged in the name of Assassin’s Creed Unity. The famous Notre-Dame de Paris was engulfed in flames yesterday. The historic building that is more than 800 years old is now destroyed. French President Marcon said that the Government would start to rebuild Notre Dame de Paris, however, they have an unexpected source for tracing. Assassin’s Creed Unity. The Assassin’s Creed games are known for using real historic and popular places in their games. The developers at Ubisoft put a great deal of effort in their research, particularly when they were mapping out Notre-Dame for Unity. For the developers, it takes years to recreate the real world locations. Assassin’s Creed Origins has an exploratory mode called the Discovery Tour. 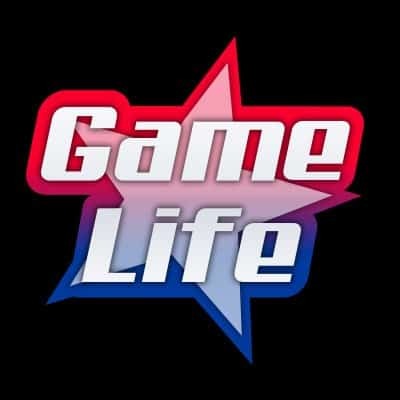 This allows players to view and scope out historical details within the game. It is this where many believe can help restore the Notre-Dame cathedral. Assassin’s Creed Unity has mapped Notre-Dame de Paris in amazing detail, and it took the designers roughly two years to complete it. Those who are in charge of the cathedral keep copies of the game on hand because they find it to be a great source of reference. The cathedral in the game will be helpful in retracing what is missing in the damaged structure. Assassin’s Creed Unity was based during the French revolution. The senior artist for the game, Caroline Miousse, took about two years to create the cathedral. She collaborated with a historian to make a one for one representation of Notre-Dame. 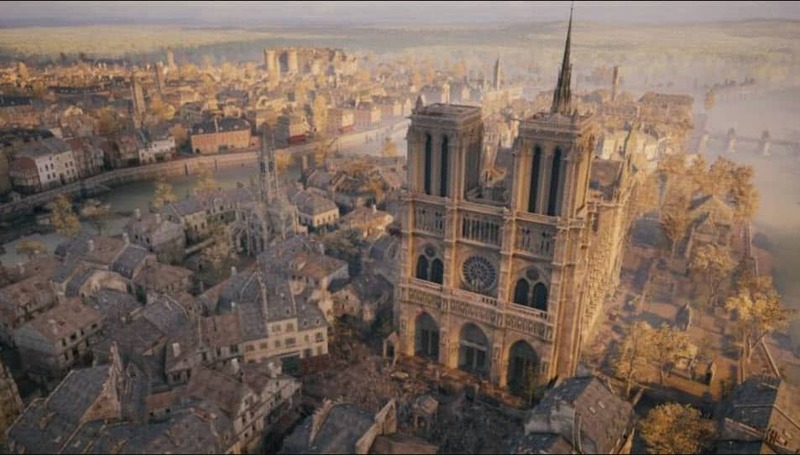 Although not all of the Notre-Dame Cathedral was done with 100% detail due to copyright protection, most experts agree that it’s strikingly representative of the modern cathedral. Within the cathedral for example is a large organ. Caroline had to make some aesthetic changes to it due to copyright, thus, not everything was able to be accurate. She also added some additions to the cathedral in-game to facilitate the gameplay due to player mechanics, which are minor compared to the overall structure in the game. In terms of the interior of the building, it’s different now then it was back during the French Revolution. This will prove to be a challenge to architects when reconstruction begins.